This Philips Avent BPA-free spout cup is great for both toddlers and parents. The soft silicone spout makes sipping easy and fewer parts ensures easy cleaning of the cup. 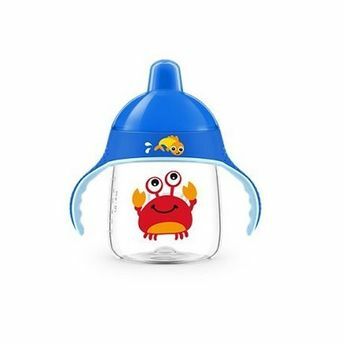 A mess free and spill proof solution for your baby, the Philips Avent Premium Spout Cup is sturdy and provides the convenience of easy sipping, with the soft non-slip handles that ensure easy grip for the little hands. This makes it easy for your child, convenient for you.